Apple has many tacts to encourage greater diversity among its developer community. To increase the number versatile applications in App store, Apple announced that it is adding more in the number of WWDC scholarships this year. This offer will provide students and developers the opportunity to attend Apple’s Worldwide Developers Conference taking place this June in San Francisco. 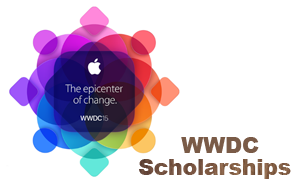 Last year, Apple offered 200 scholarships by working with the National Center for Women & IT (NCWIT). But this year, the company says it has expanded its list of partner STEM organizations to more than 20 and will also increase the number of scholarships offers to 350. The full list STEM organizations includes App Camp for Girls, Black Founders, Black Girls Code, Blacks in Technology, Coalition for Queens, Code.org, Code2040, CodeNow, Girl Develop It, Girls Who Code, Hack the Hood, Hack bright Academy, LaTechLa, Latinos in Information, Science and Technology Association (LISTA), National Center for Women & Information Technology (NCWIT), National Society of Black Engineers (NSBE), Technovation, Thurgood Marshall College Fund, Women Who Code, and #YesWeCode. Like many of today’s tech companies, Apple’s workforce is primarily white and male – specifically, according to Apple’s own diversity report, only 30% of its company is female. In technology positions, that number is even lower – only 20% of its employees are female, in that case. Meanwhile, Apple’s overall makeup is 55% white, 15% Asian, 11% Hispanic, and 7% black. This lack of diversity isn’t just a social justice issue – not having the right balance internally can also limit a company’s potential for new ideas and innovations, which ultimately could affect a business’s bottom line. One more minor example that has popped up as of late that reflects a product built by a predominantly male culture, is the lack of consideration for women’s health needs following the introduction of Apple’s HealthKit. Apple’s Health app can now track a range of items, including sleep, weight, sleep, heart rate, and more – even things like sodium, copper, and selenium intake. But as a number of people have pointed out, the app failed to track one of the most obvious and necessary things related to women’s health: her period. That’s the kind of oversight that comes from a workplace where there simply aren’t enough women making their voices heard. With the new scholarships and partner STEM organizations involved, Apple is taking broad steps to make access to its event – and therefore its larger developer community and the potential for future success in the industry – something that reaches a more diverse crowd of young developers, including not only women, but also black and Latino groups as well. At this year’s WWDC, Apple will offer over 100 technical sessions presented by Apple engineers, who explain how best to use the company’s developer tools. These sessions and the hands-on labs are a big draw for attendees, but also important is the opportunity to network with fellow developers and establish industry contacts that can help developers further their careers. Apple says the scholarships are open to students and members or alumni of the STEM organizations Apple has selected, and are available to those over the age of 13. In addition, unlike regular WWDC attendees, these scholarship recipients won’t have to be a member of one of Apple’s paid developer programs. However, interested student developers will have to create and submit an app in order to be considered for a scholarship. Additional guidelines that explain the app submission process have also been shared here on Apple’s Developer website, and state that submitted Mac or iOS apps must be written in Objective-C and Swift, or written entirely in Swift. These submissions will be accepted beginning on Wed., April 22nd and will end on Sunday, April 26 at 5 PM PDT.